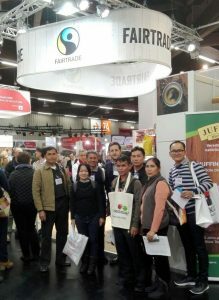 From 13 to 16 February FLOCERT once again will be present alongside Fairtrade at BIOFACH 2019 in Nuremberg, Germany. BIOFACH is the world's leading trade fair for organic food, with 51,000 trade visitors from 134 countries and 3,000 exhibitors. Combined with Vivaness, the international trade fair for natural personal care, BIOFACH is an important business event, the place where supply meets demand – for both visitors and the exhibiting companies. Visit us at the Fairtrade booth (#740) in Hall 7 and find out more about our certification services. Our experts will be happy to answer your questions! We are looking forward to meeting you at Biofach!